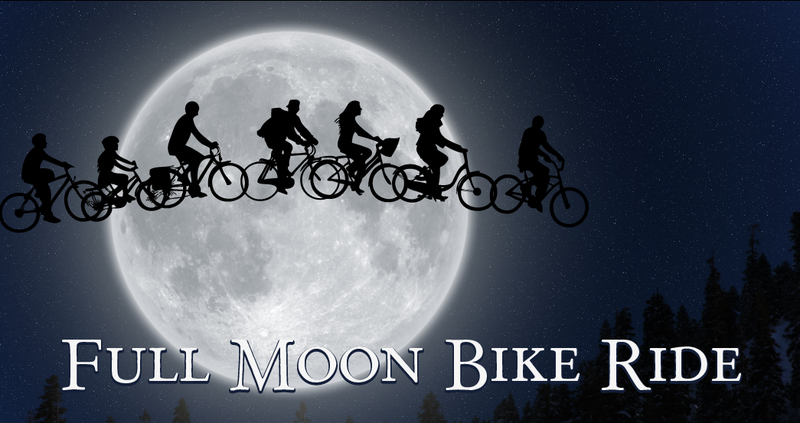 A FUN, FREE EVENT – Full Moon Rides are focused on casual paced, fun adventures along our city’s lovely pathway and parks network. Suitable for all ability levels, we only go as fast as the slowest rider. Never been on a group ride before? Join us for a guaranteed good time. On these rides, we usually head to a local park and build a bonfire… but we like to shake things up a bit so sometimes stop at coffee shops, micro-breweries, restaurants or we combine it with other bike events along the way. This month come prepared for anything. The weather will dictate our final destination. We may still ride to a park and have a fire so dress warm. Lights are mandatory!!! Meet at the shop (1325 1 Street SE) at 7:30 pm. Ride departs at 8:00pm sharp. What is planned for the October 26th ride? I was thinking a micro-brewery tour like we did last year in October – ride to Annex, then Banded Peak and end at Cold Garden or Ol’ Beautiful.